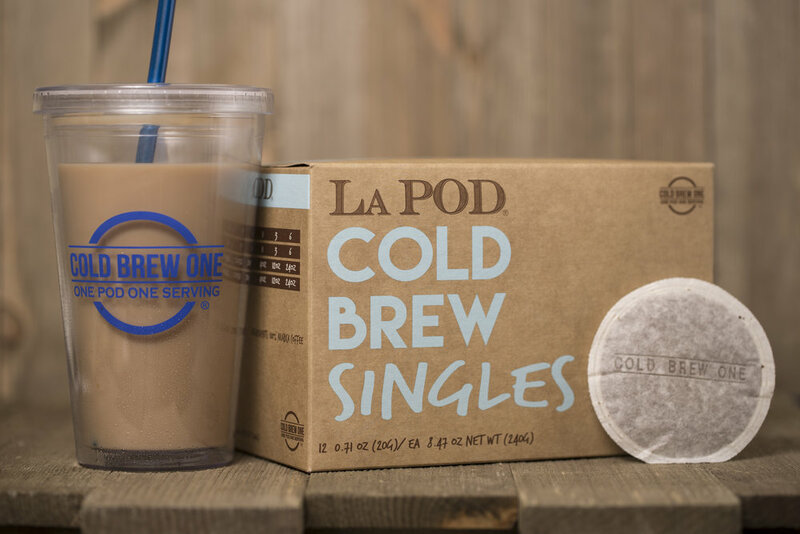 Cold Brew One® coffee pods offer a fresh cold brew process that’s simple, clean, and scalable. Ready-to-brew coffee is packaged individually in a micro-mesh filter leaving no messy grinds in your glass or on your countertop. Cold Brew One® offers a silky smooth taste with lower acidity and saves hours of time! The Cold Brew One® technology offers a versatility not yet seen in the cold brew market. We offer a variety of solutions for everyday life. Brew one serving at a time. Just add a pod with water in a glass and it's ready in 6-8 hours. Each Cold Brew One® pod is packaged individually to provide a fresh cup of cold brew, every time. Our simple 1:1 formula allows you to brew any size pitcher you'd like. Each pod equals one serving, so the more Cold Brew One® pods you add, the bigger the brew. Enjoy the freedom to choose! Going to work? Traveling? Going to a party? 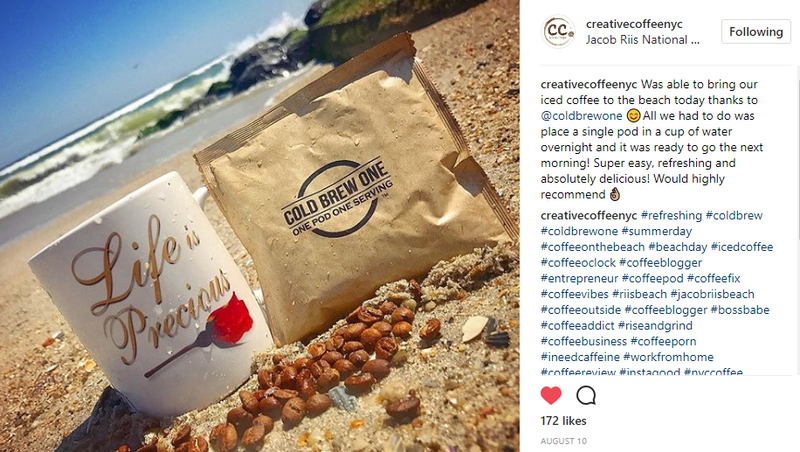 Bring Cold Brew One® pods with you! 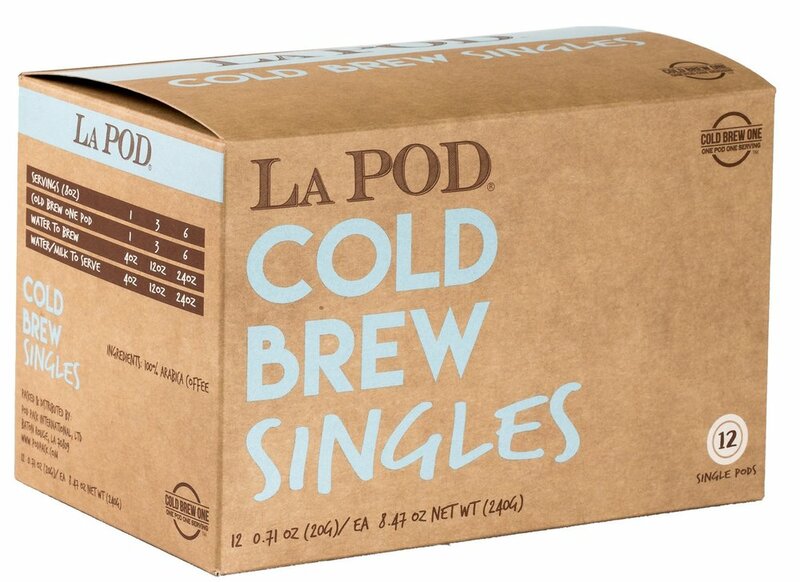 These individually wrapped pods make cold brew easy to brew and easy to carry, wherever you go. Cold Brew One® coffee pods can cold brew any way you like it. Cold Brew just one pod in one glass or make any size pitcher with our 1:1 pod to serving formula. Make it fresh everyday for you, for two, or for everyone. Bring a Cold Brew One® pod to work. Brew it in the morning, and you'll have a smooth fresh cup ready when you are in the afternoon. Bring Cold Brew One® pods with you when you travel. All you need is a cup and some fresh water to cold brew a perfect cup, anytime, anywhere. Cold Brew Coffee has come a long way over the past few years, but we noticed that the current ways to cold brew aren't as easy (or portable) as they should be. So we went into our labs and developed a new way to cold brew that's more simple, clean, and flexible while also getting the best cold brew from our coffee as possible. And after one year of development, we're now introducing Cold Brew One® pods! With micro-mesh filter paper that maximizes coffee extraction without breaking while brewing, 100% Arabica coffee that's blended and ground just right, and individually wrapped servings that guarantee a smooth freshness with every cup, you can brew Cold Brew One® pods anytime, anywhere, and in any amount you want. We hope you enjoy Cold Brew One® as much as we do! Wondering what people think? Check out our reviews! We can package your specialty coffee blends into our patent-pending Cold Brew One® pod technology. Work with our R&D team to get the most out of your roast. You can learn more and contact us at PodPack.com.